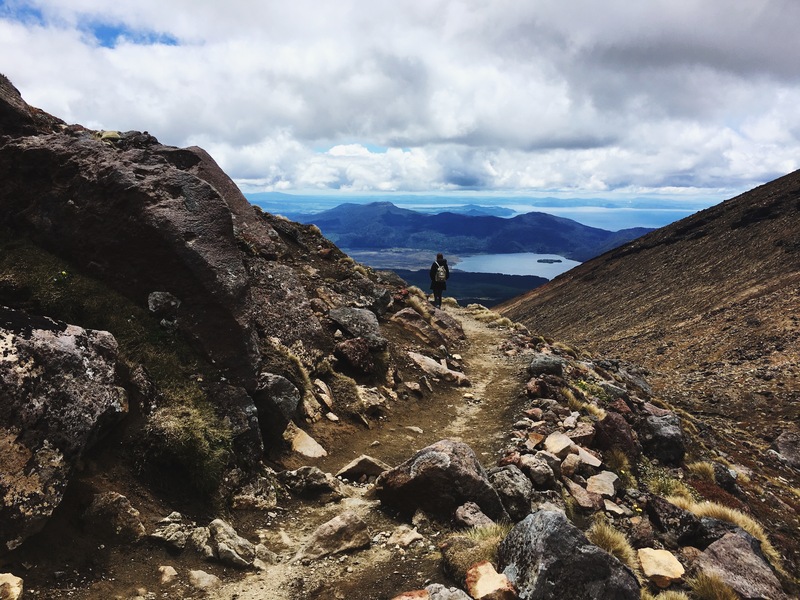 For most of our trip I had talked Scott’s ear off about how I wanted to try to hike the Tongariro Alpine Crossing but the idea of a 12-mile hike made me very nervous. 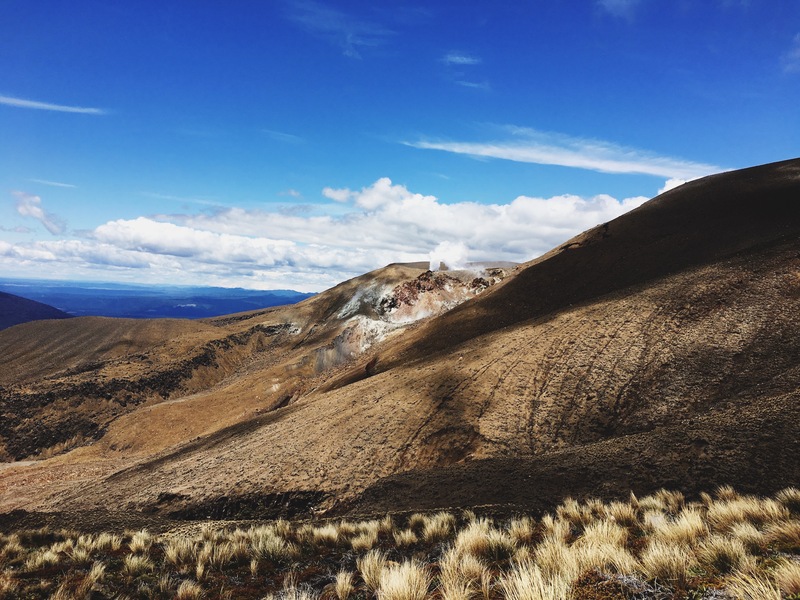 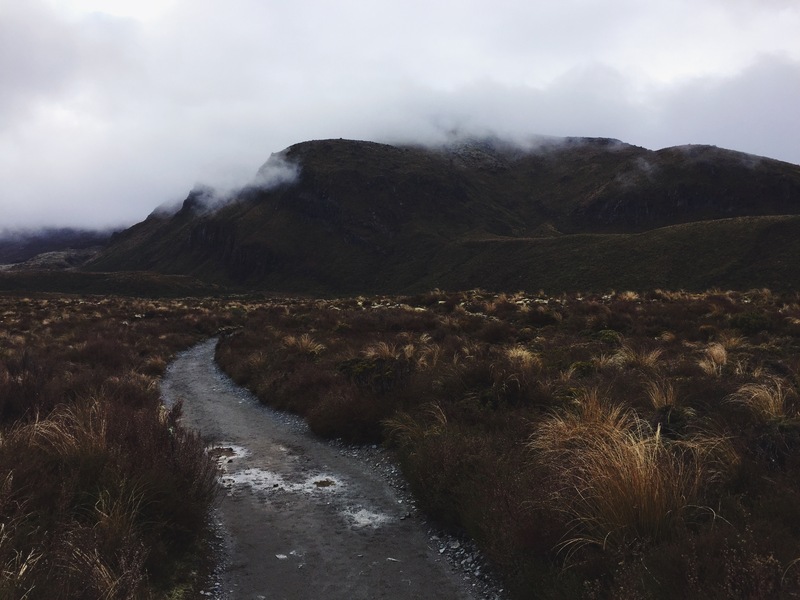 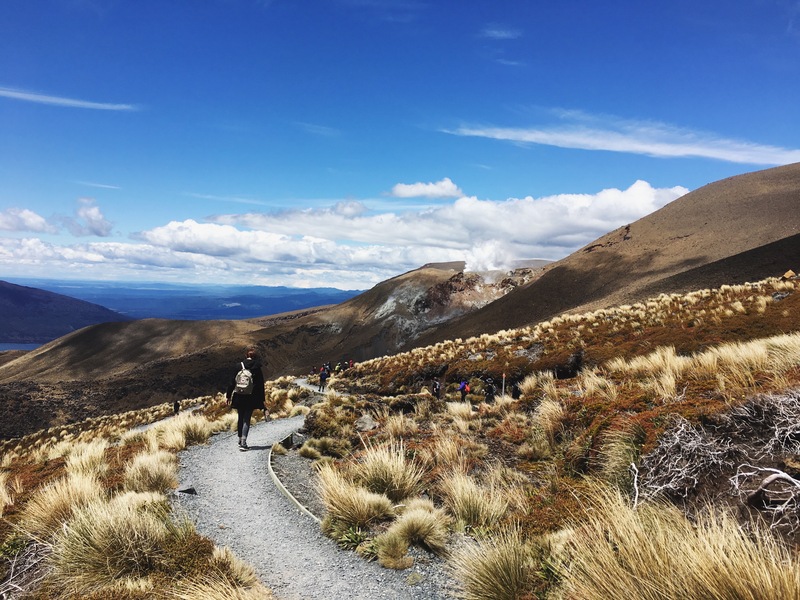 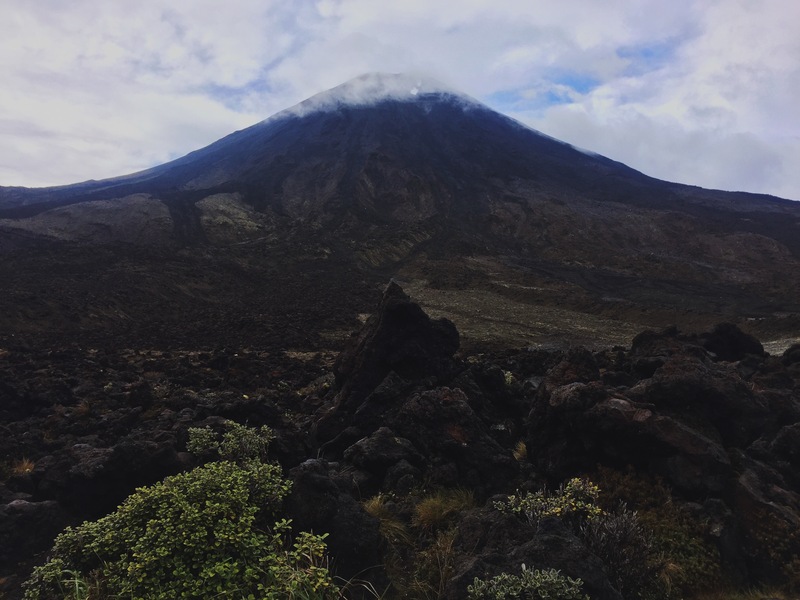 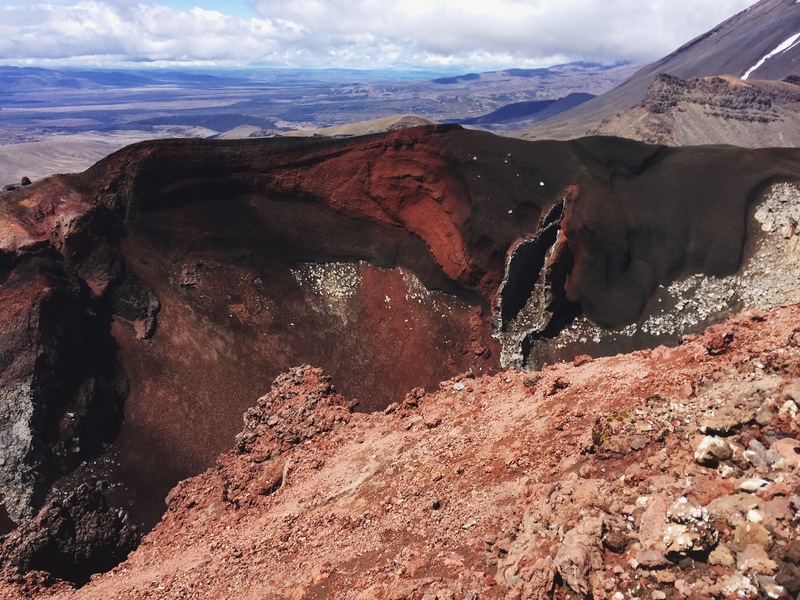 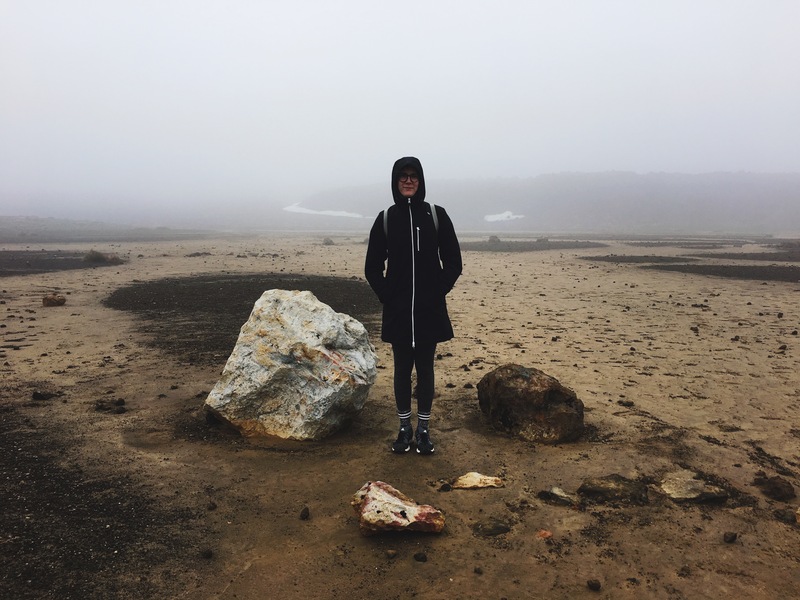 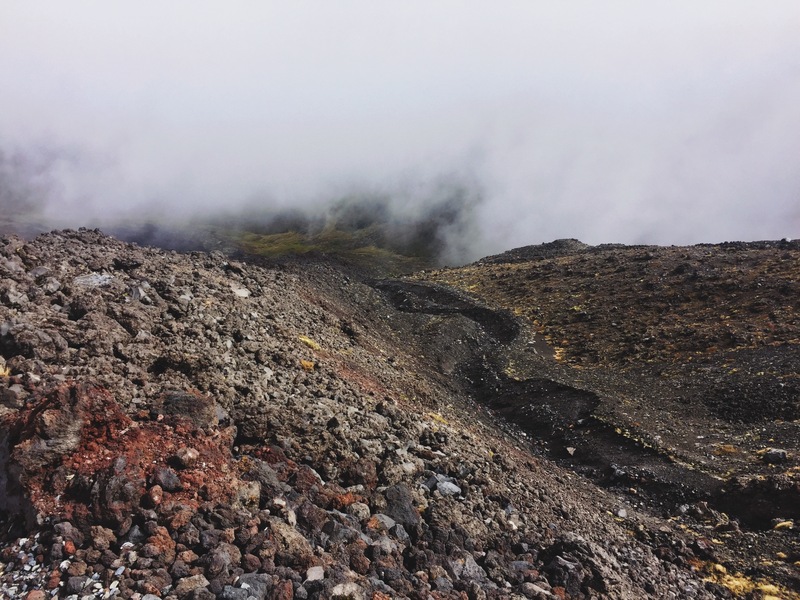 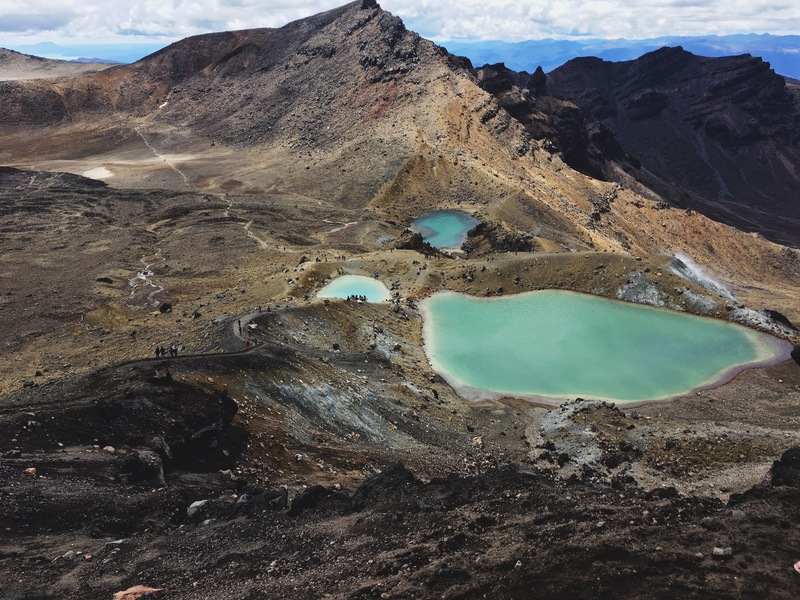 When we finally arrived in Tongariro National Park, I had made up my mind. 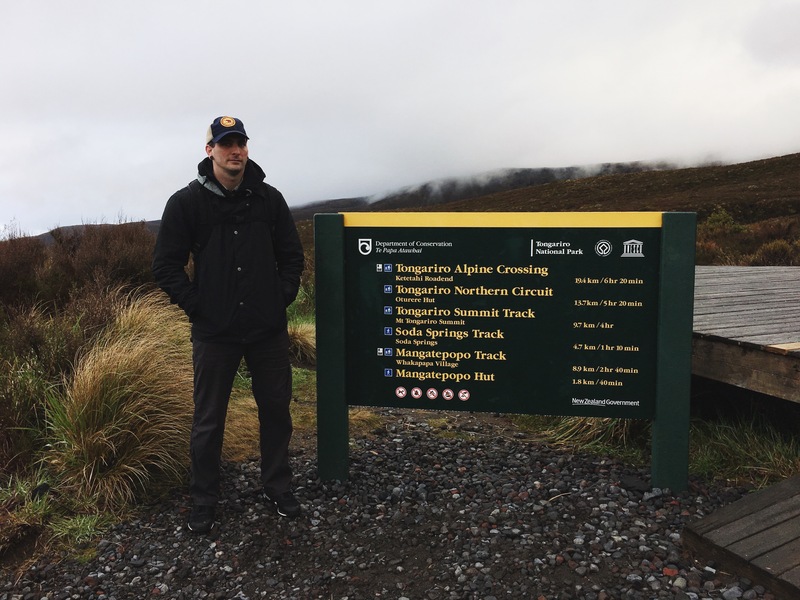 We camped at Whakapapa Village which conveniently had a shuttle to take you to and from the hike. 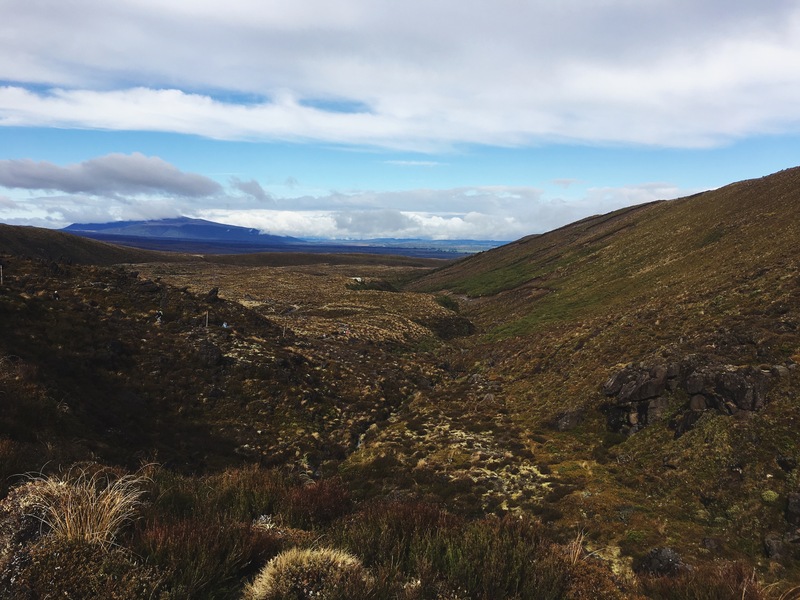 On the day we arrived, we explored some of the surrounding areas and enjoyed the heated kitchen area to heat up our Pranah Cafe leftovers. 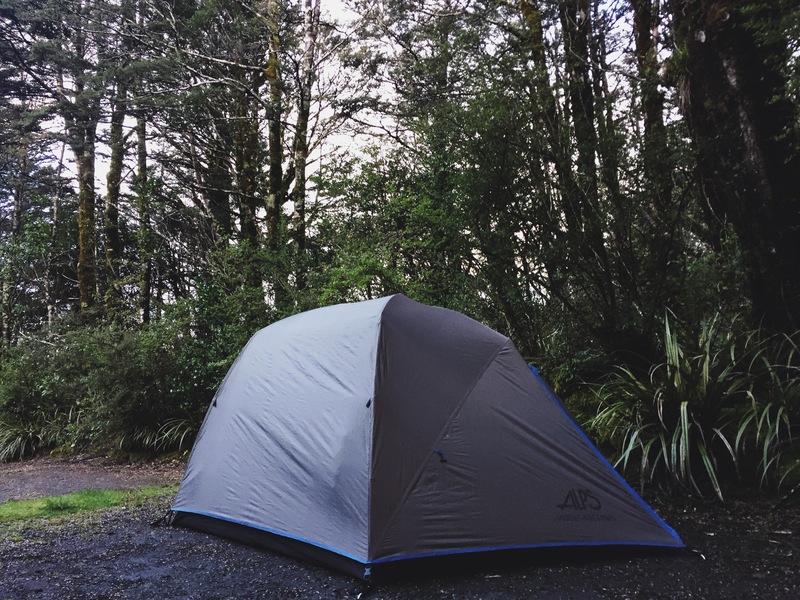 We reviewed all the items needed for the hike and prepped our packs for the next day’s journey. 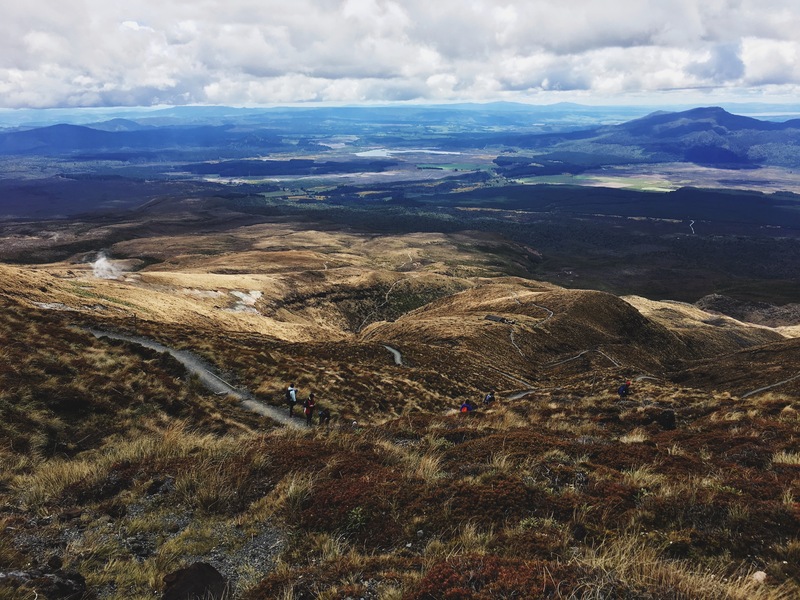 We opted to take the first shuttle so that we would have the most time available for the hike. 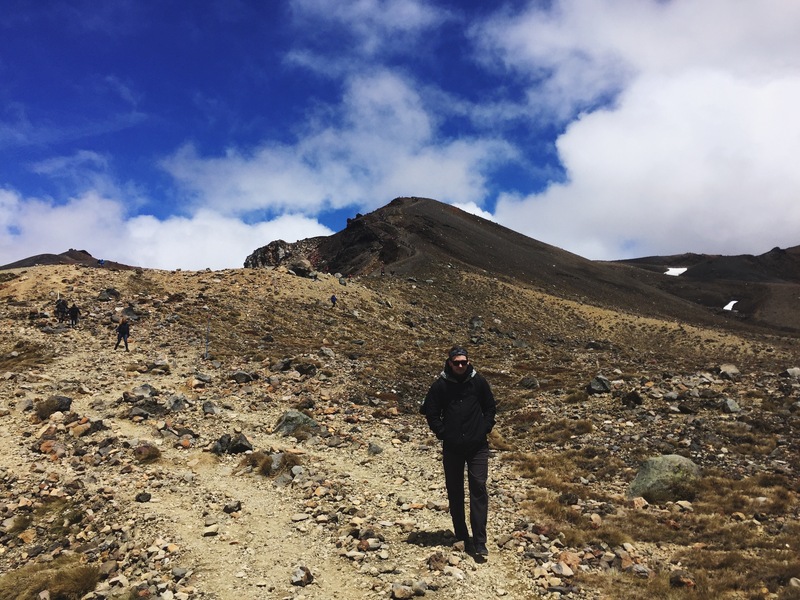 The hike itself was intense and gruelling at times, all the things I read online said you could experience all 4 seasons in one hike. 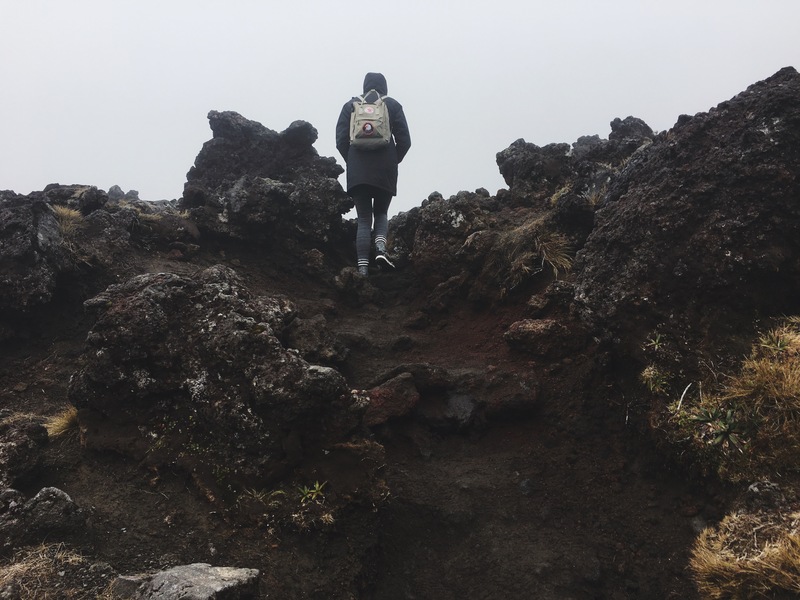 The only items we did not have/bring were gloves and boy did I wish I had brought a pair as my hands were freezing and I resorted to putting my hands in a pair of extra socks that I packed. 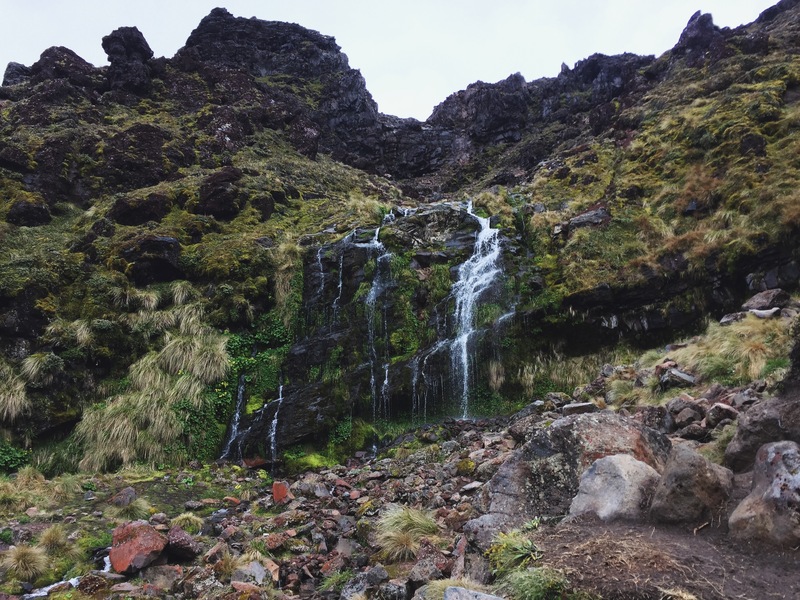 Despite the rather gruelling and frigid parts, this was an amazing hike and I am so happy we decided to do it. 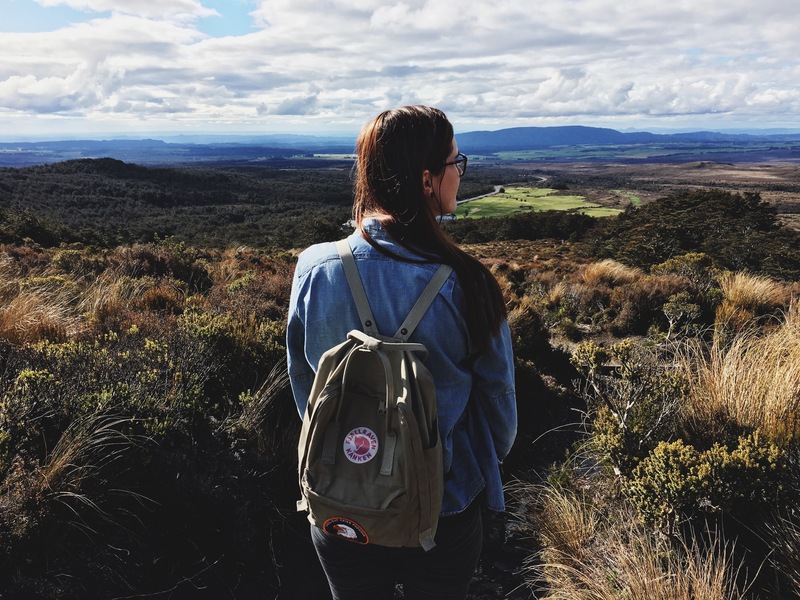 So many beautiful things to see. 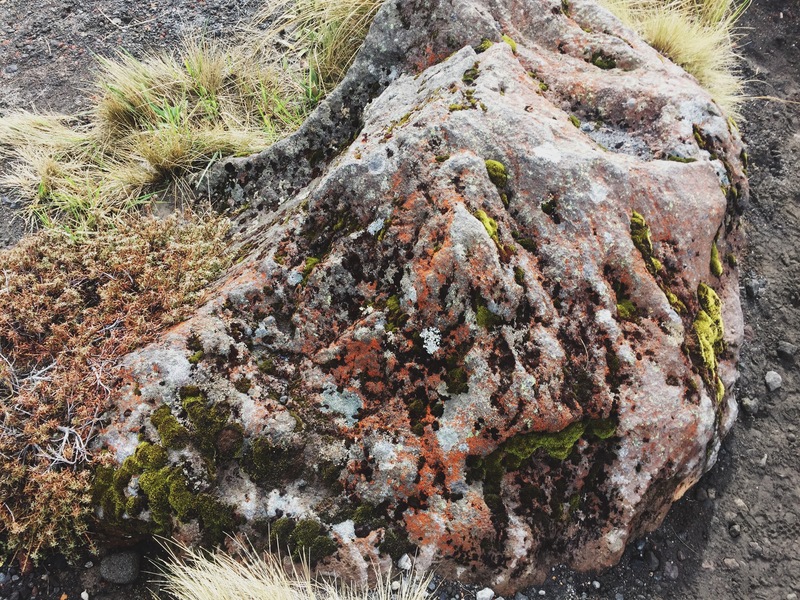 I loved all the volcanic rocks that greeted us before we began our hike up and the beautiful Emerald Lakes that were revealed after the worst part of the journey. 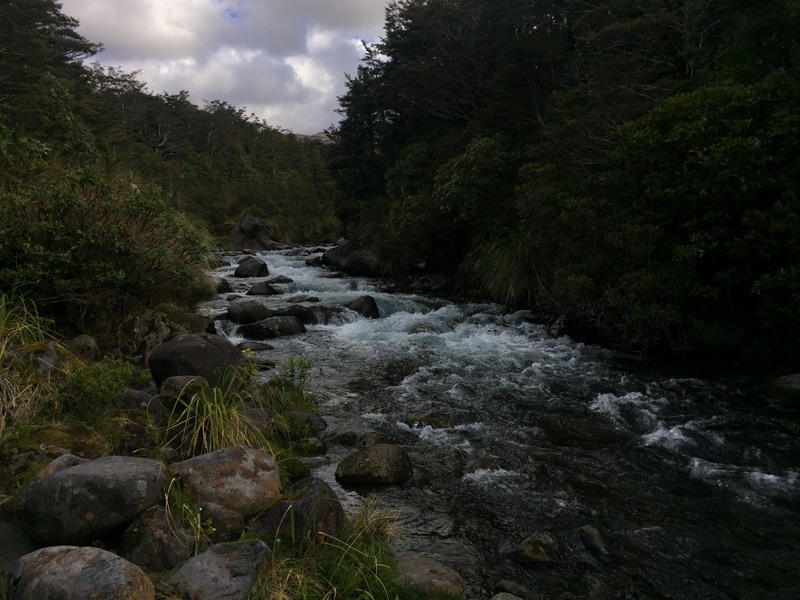 The last couple of miles my feet were aching so my pace slowed down a bit but we made it to the end in time to catch the shuttle back to camp.